This has certainly been a season of stops and starts but hopefully now we’re in April we’ve finally turned a corner. 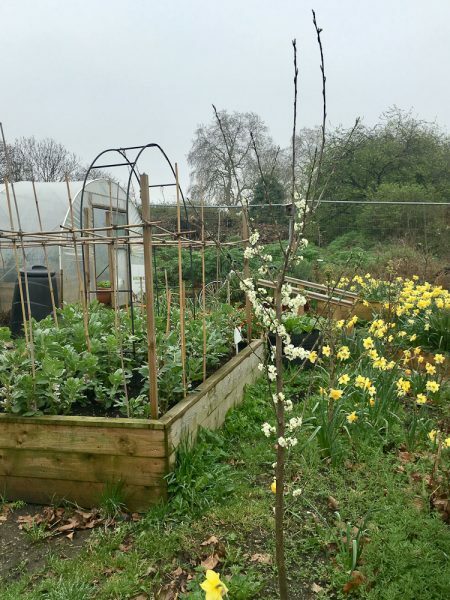 Our daffodils, broad beans and fruit trees are finally in bloom, and at the weekend our gardeners were gagging to get growing! 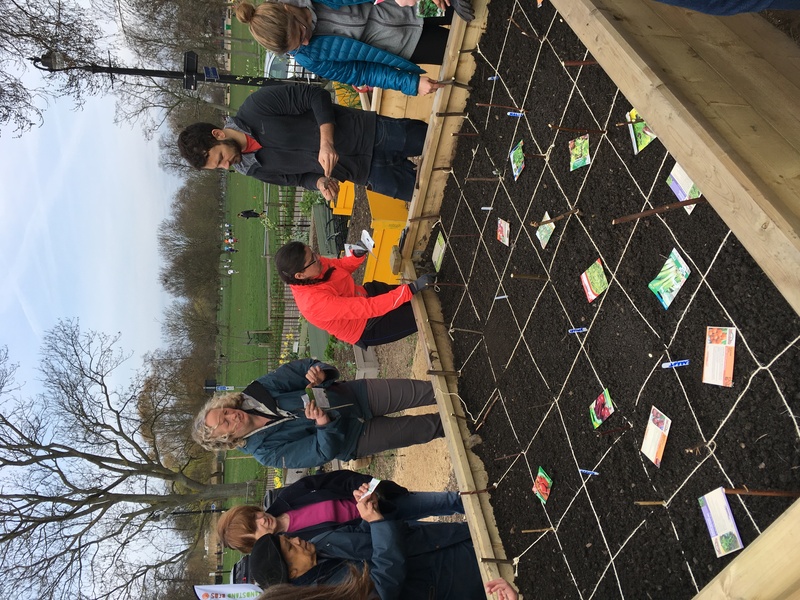 In our series of monthly gardening workshops the theme of our April session was Square-foot Gardening, a way of making the maximum use of your outdoor space – however small! 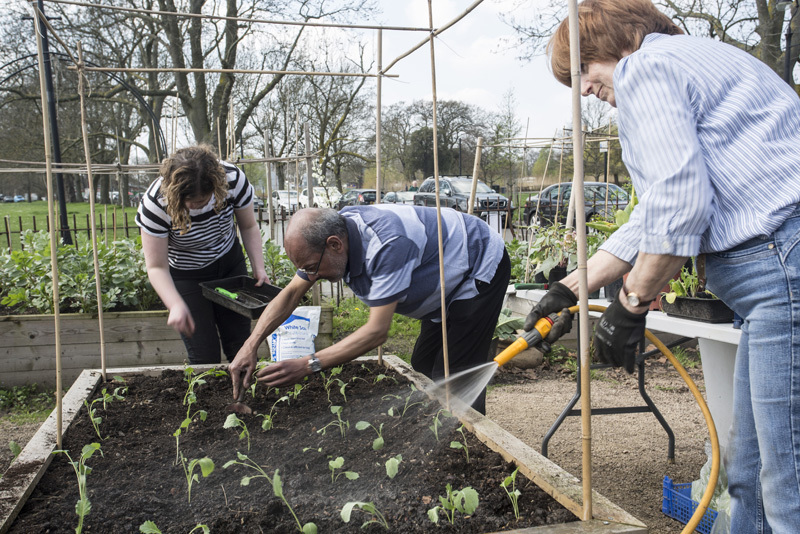 Community gardener Ruth Arnott worked with the group to divide one of our larger beds into sections. 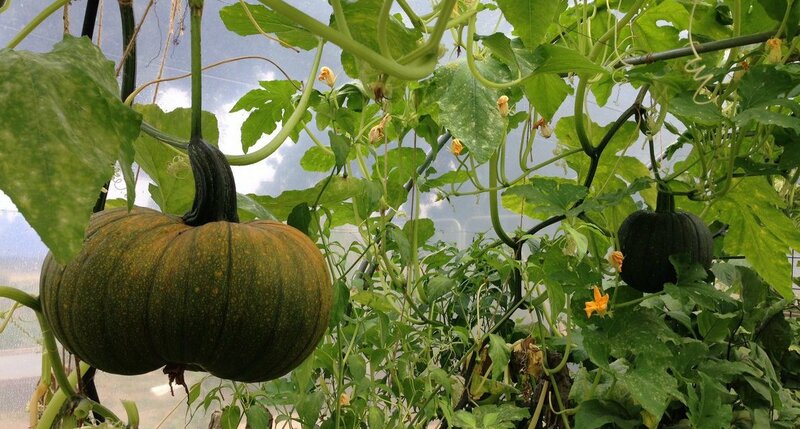 They then selected seeds according to the size the plant would grow and sowed just one or two of them to avoid a glut of plants that would need to be thinned out. Next month Ruth will be back with us to see how the bed is coming on and run our Pest & Disease Workshop. 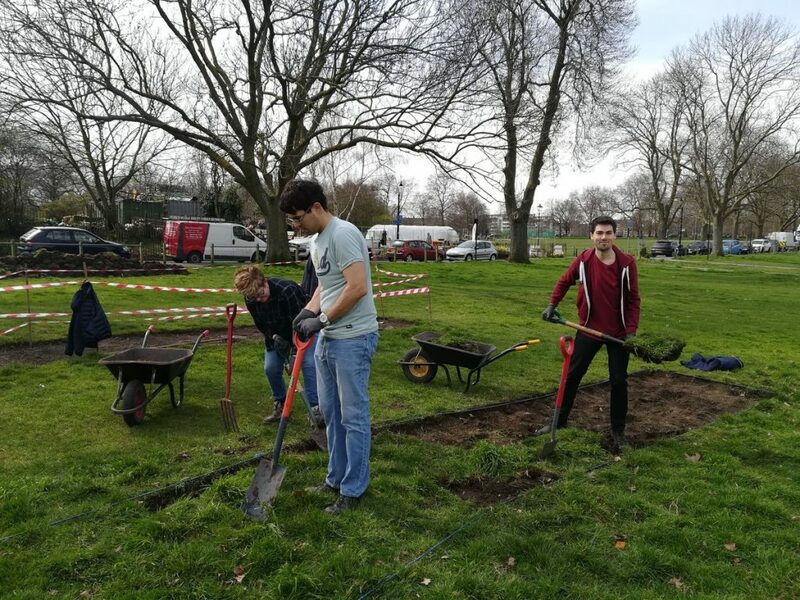 But not all of our activity on Saturday was confined to our garden, some of our members were keen to head across Windmill Drive and volunteer for CCMAC’s Colour Your Common Project. Over the next few weeks, each Saturday areas of turf will be removed for wildflower plugs to be planted and seeds sown. 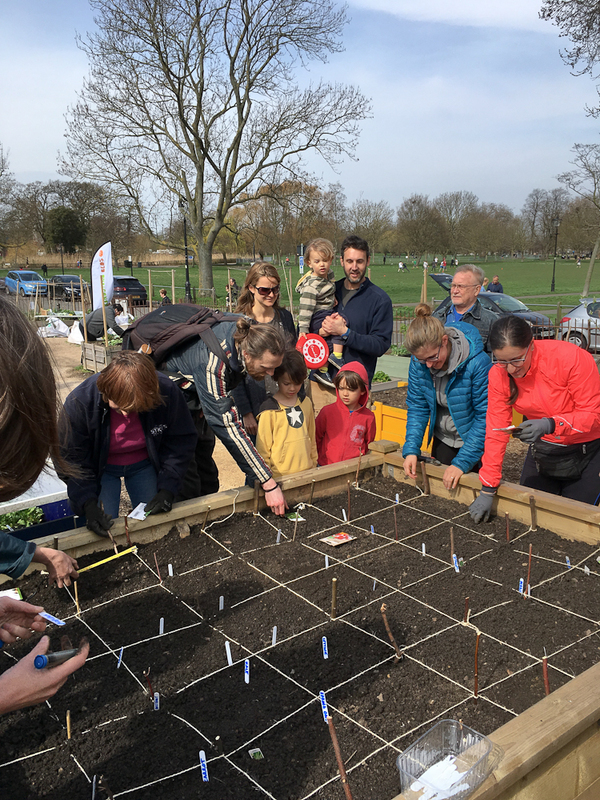 And by midsummers there’ll be haven for bees and other pollinators – and community picnic on Friday 27 July which will be part of the first London National Park City Week. 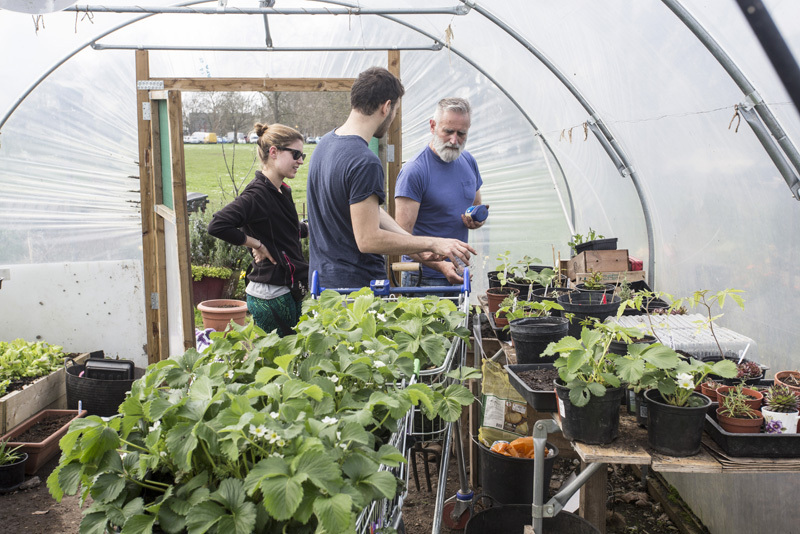 London households throw away and estimated 900,000 tonnes of food each year, costing the average family £60 a month. Want to find out more and do something about it? 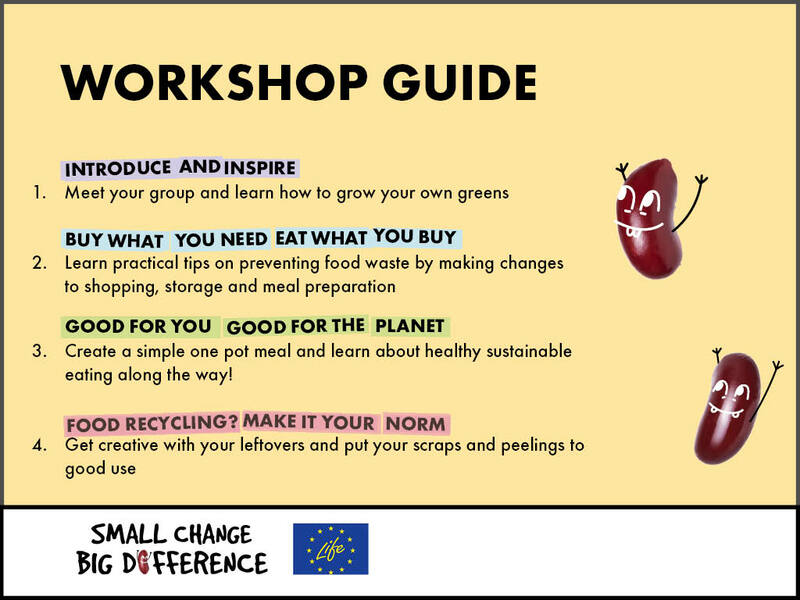 Then come along the Small Change Big Difference workshops in our garden on Saturday 21 and 28 April where you can where you can learn tips and tricks on how to make your shopping last longer, save money and learn how to eat healthily and sustainably. These workshops are free but you will need to book a place by clicking on this link. 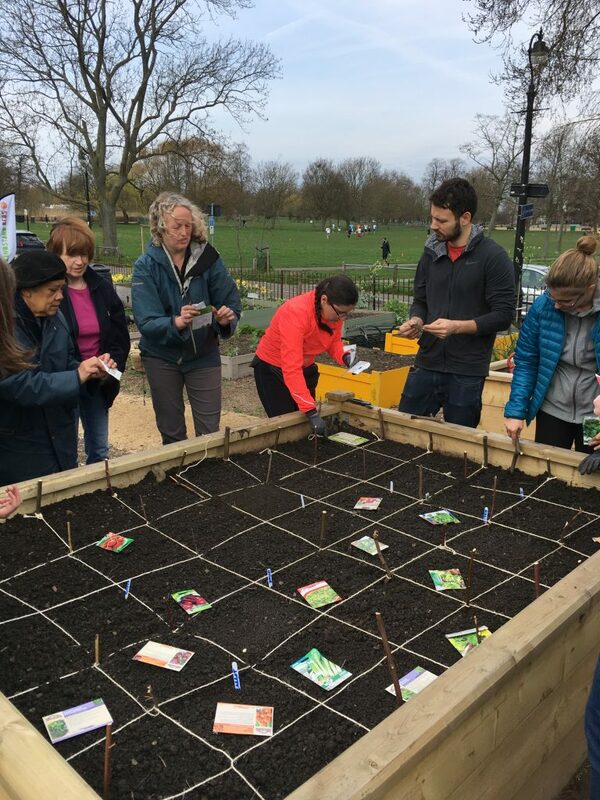 If you would like to get involved in our community food growing project on Clapham Common then come along to our garden any Saturday between 10am and 1pm to see what we get up to. We usually have tea and cake at around 11.30 if you want to just drop in for a chat. We’re a friendly bunch!